Can you spot the kitten in the tree? Our dear kitten was excited the sun was shining and got so thrilled to be outside to play. He ran up the tree and just kept going. It quickly became apparent that he was stuck and couldn’t find his way back down. 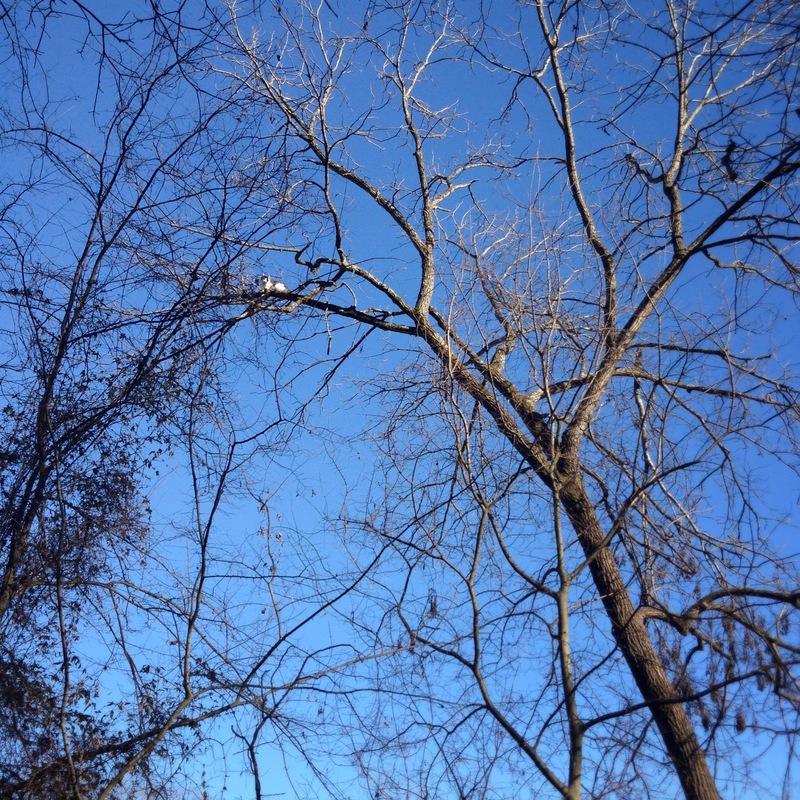 He kept climbing higher and higher, then started to wiggle himself out to the tiny branches of the tree. Our ladders wouldn’t reach, we tried opening cans of food and calling him down but it was all to no avail. Sadly, he stayed up there all night. Surprisingly enough he was down to greet us when we looked for him first thing in the morning. Whew! The drama doesn’t stop there with our dear little kitten. Leave it to Big Z to continue the drama. Since my arm is broken and the dishwasher is too, it’s been her responsibility to do the dishes. Instead of doing the dishes after each meal, or at least at the end of each day, she decided to let them go until there was no choice. We’ll call this a lesson in procrastination. 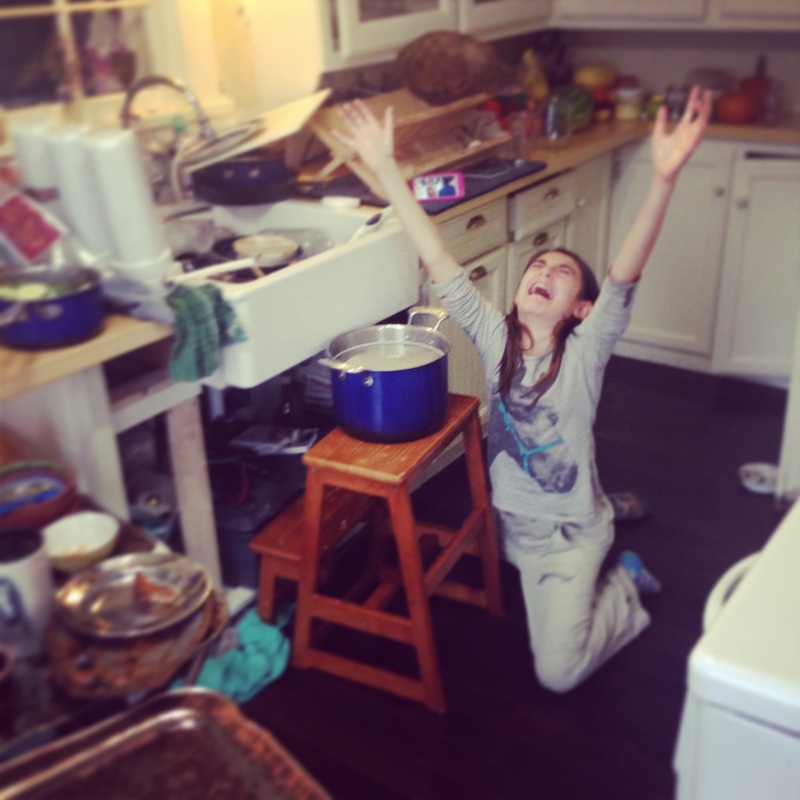 The poor girl spent approximately four hours scrubbing every last dish until it sparkled. She did stop to make this pose for me and give me a chuckle. Now the question remains whether or not she’ll learn from this experience and decide to do the dishes on a daily basis. How do you motivate your kids to help around the house without drama? 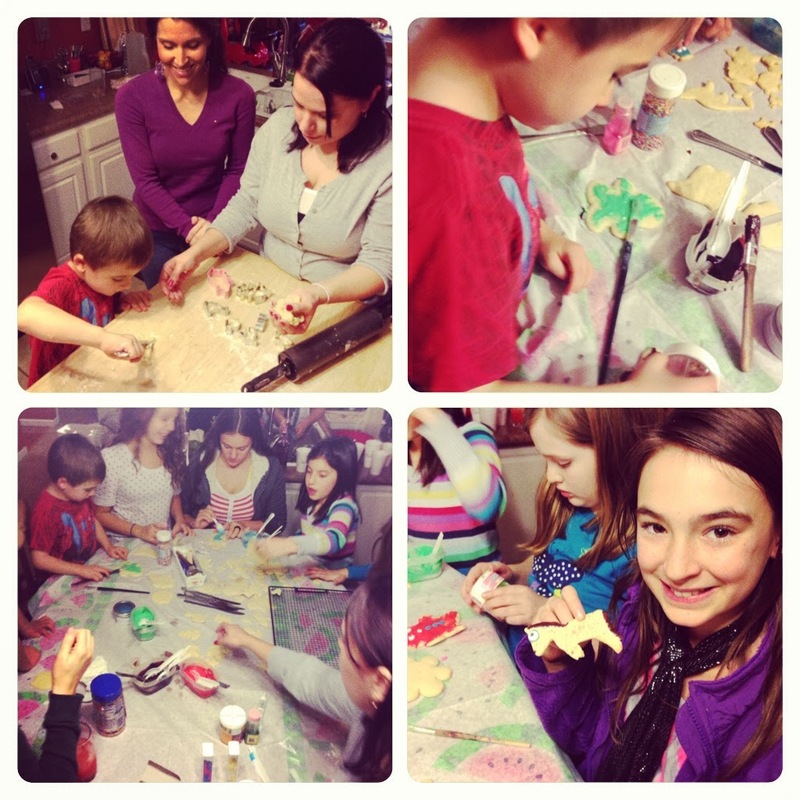 A dear friend of mine invited us over to make cookies with a few other kids. Little did I know it was a cookie extravaganza! The cookie dough was made ahead of time, then we just had to roll out the dough, place the cookie cutters and bake. The kids had a blast decorating farm animals, dinosaurs, cowboy boots and random shapes. It was great for the moms to get together to chat while the kids had a blast running and laughing together. Instead of focusing on the artificial food coloring I tried to focus on the fun (while encouraging the nibbling of carrots). How do you deal with parties and times with friend and family that includes food that you’d prefer to avoid? Each week, we update the Linkytools code so that you can add the blog hop to your post if you wish. This will be a current list of participants, kept currant by participants themselves. In other words, when you’ve published your post, add the link to the blog hop, so that the other participants and their readers can see the post.